As you’re reading this, I will be in Paris. Hopefully with a glass of wine in one hand and a hunk of cheese in the other. The dream, non? Maybe on top of the eiffel tower, or inside a Sephora. WHO KNOWS. What I do know, is that I will most likely be wearing a red lip. A cliche, granted, but if there is one quick way to make yourself feel chic then it is surely with a swipe of red lipstick. I’m also planning on wearing minimal makeup – to cope with the heat, and to really try and emulate the French look. I even bought some (hopefully) chic trousers! I’ll share what I’ve taken with me next week, so keep your peepers peeled if looking inside other people’s makeup bags is your thing (it’s definitely mine). 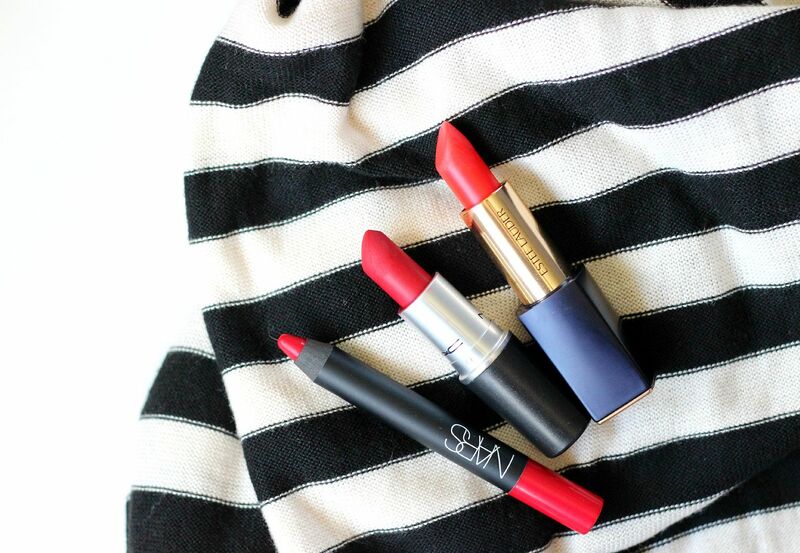 The main question is … how many red lipsticks is too many?